SAVE 30% on the Convology Vintage Reverb bundle! A new month of promos and opportunities to SAVE! 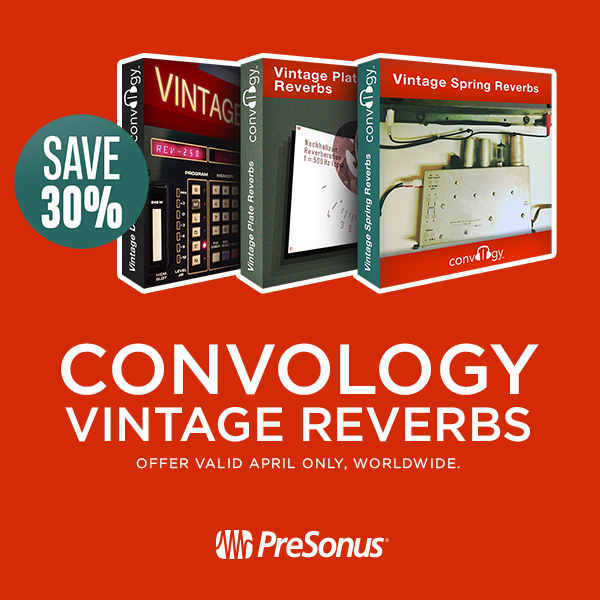 For the month of April, SAVE 30% on the Convology Vintage Reverb collection right out of the PreSonus Shop! You have the opportunity to save on each Add-on individually or as a bundle. Click here and check out the bundle right in shop.presonus.com! Posted in Promo / Discount, Studio One | Comments Off on SAVE 30% on the Convology Vintage Reverb bundle!